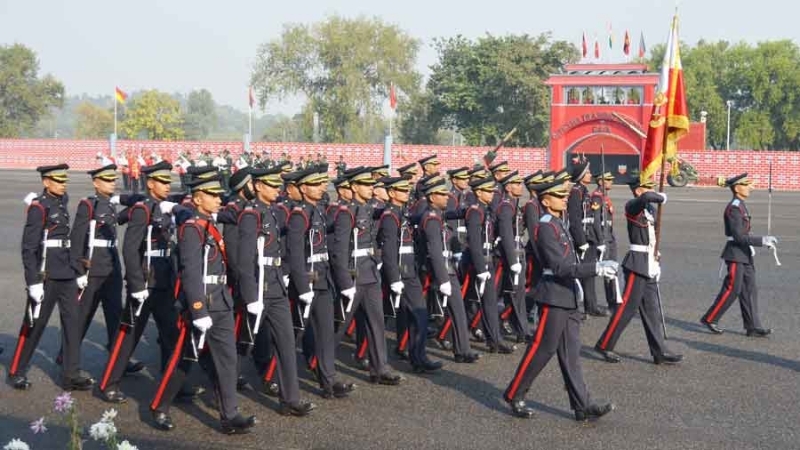 As a prelude to the Passing Out Parade on 14 Dec 13, a Multi Activity Display showcasing various aspects of military training imparted to the Gentlemen Cadets, coupled with interesting and awe inspiring acts of combat skills and adventure, was staged in the Rajyavardhan Stadium of Officers Training Academy, Gaya. A key aim of training at the Academy is to inculcate a sense of adventure, in addition to developing physical fitness. The display showcased the skills that the Gentlemen Cadets learnt during the course of their training.